Keen to start your day the right way? 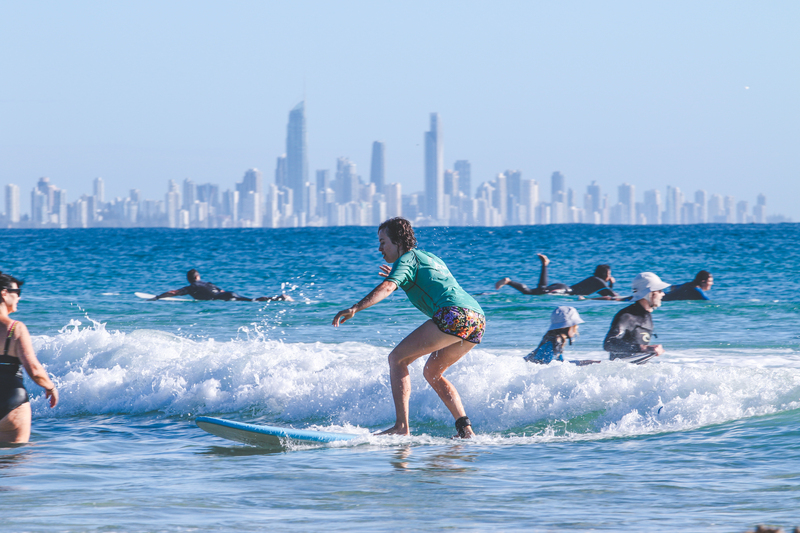 Rather than heading into work feeling tired and lazy, why not try one of our exclusive ‘Gold Coast Sunrise Surfing Sessions’ and get that buzz you need to kickstart your day. 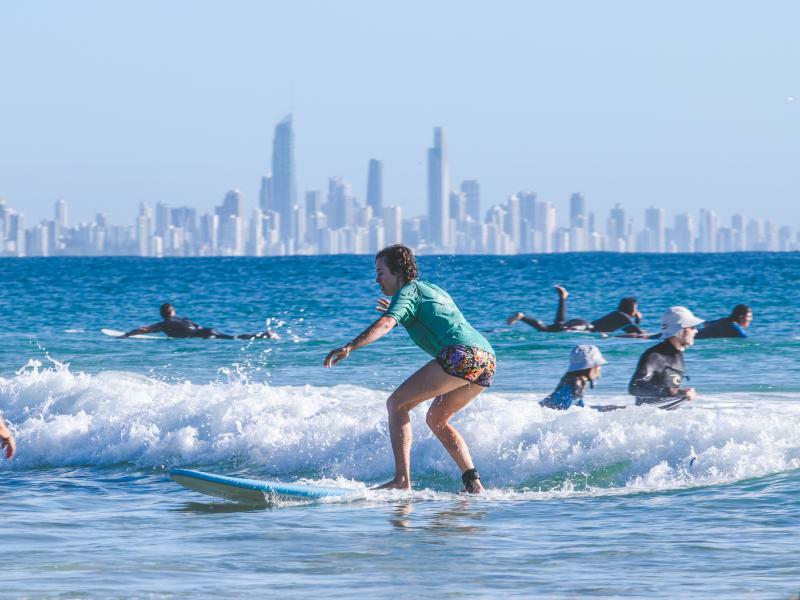 Not only is surfing good for your soul but you will also get fit, meet new people and see what the surfing lifestyle is all about under the guidance of our fully qualified and professional instructors. Short warm – up, land instruction covering surf safety, surfboard handling, paddling, standing and falling techniques, wave selection and surfer etiquette and of course, surfing!!!! Beginner lessons are held in waist depth water whereas regular clients may have a separate instructor who will take them out further. You will just need swimming bottoms, sunscreen and a towel. We supply the wetshirts, wetsuits (if required) and safe, soft surfboards.